All our hosting plans feature a free-of-charge single-click Web Applications Installer tool, which you can use to install different popular web applications. It is very easy to use - you can launch your blog, forum, CMS-driven website, photo gallery or Internet shop with just one click and you don't need to have any web design expertise. 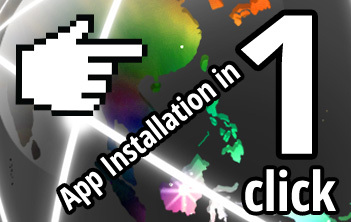 With the free-of-charge one-click apps installation tool, you will save both time and cash.